KATHMANDU, June 20: After being appointed as the Minister for Culture, Tourism and Civil Aviation, Rabindra Adhikari has been often credited for being more diligent toward his job than his predecessors. Soon after his appointment to the post, he unveiled a 100-day action plan. The ministry has claimed that 97 percent of the action plan has been achieved within the period. However, despite being widely appreciated for his efforts, his critics claim that he is more into publicity campaigns rather real work. After he became the minister, several non-operational domestic airports have come into operation. However, some of the domestic airports are facing losses these days. According to Baglung Municipality, the Balewa airport that was reopened in the last week of March, is making losses. An aviation expert team formed by the ministry has submitted a report about the under-construction Pokhara International Airport, stating that the airport is not feasible under current conditions. Likewise, the feasibility study of Kavre airport has also been criticized as being an unnecessary expenditure of the ministry. Among other criticisms, a question has been raised over the minister's trip to Canada and the US. On June 10, Minister Adhikari left for Canada to receive Council President Award and certificate presented by International Civil Aviation Organization (ICAO). The certificate was presented on June 12. Critics say that the minister could have sent his representative to receive the award, as it was a waste of time and resources for the minister to make such trip. However, ministry officials have defended the minister's visit to Canada. According to them, the minister himself was invited to receive the certificates, so he was obliged to go. The decision to send Adhikari to Canada was taken by the cabinet, according to the officials. 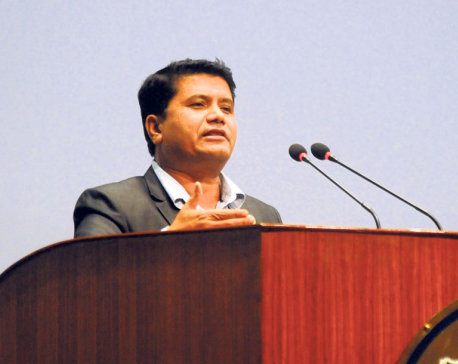 Former Director General of Civil Aviation Authority of Nepal (CAAN), Rajesh Raj Dali said that this was a big achievement for the country, and it made sense if the minister himself went to receive it. 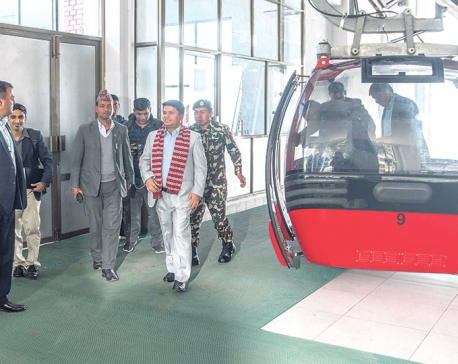 “Certainly it was not necessary for minister to make such trip, but it was a matter of the country's prestige, so he had to be there,” Dali told Republica. Critics were also not happy when the minister went from Canada to the US to attend an event organized by Non-Resident Nepali Association.